written by umar abdullah on April 7, 2019, 1:11 p.m.
One of the best burgers in town. Support local chains WOO! written by Jaffar Khan on Jan. 26, 2019, 7:22 p.m.
written by Ahmad Roy on Jan. 12, 2019, 5:43 p.m.
written by Fahad Javed on Jan. 10, 2019, 10:40 p.m.
Don’t we all love a cafe or restaurant that’s got everything? Sandwiches, pastas, burgers, Thai & Chinese, shawarmas, nashta, salads and basically anything that will help you get through the day. You see, when you’re out for a work lunch or an outing with your friends, it becomes impossible and extremely tedious to agree on a place that everyone will enjoy. There’s always that one person in the group who won’t eat anything except a burger or a sandwich, the guy who’s on a healthy diet and wants only salad, the friend who wants something delicious but is also allergic to a hundred things and is a vegetarian, the girl who wants carbs, carbs and just carbs and lastly, the person who isn’t hungry and only wants a calorie laden shake. With so many different demands, it’s really hard to find a suitable place. Well guess what? Cheetay knows where you can go. Daily Deli in Lahore is your go to place for a quick and tasty lunch fix where you can choose from a variety of menu items. If you’re a sandwich and burger lover, then Daily Deli has an extensive menu for that. 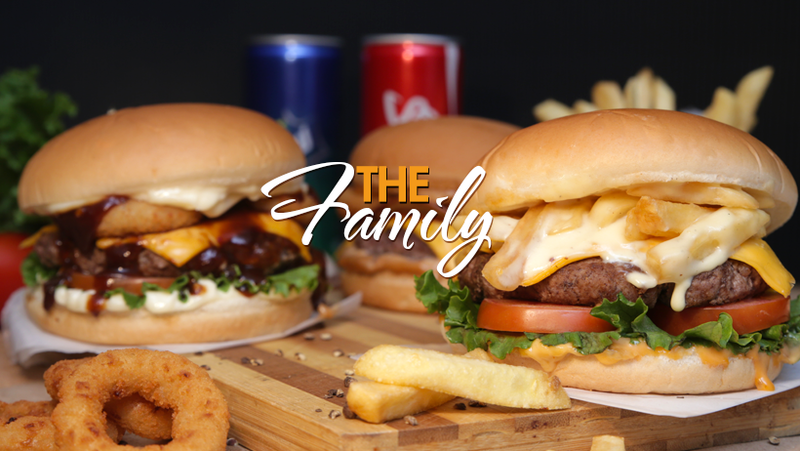 Ranging from chicken fajita sandwich to grilled breast burger, the philly steak sandwich to the Daily Deli’s signature beef burger, triple dose beef burger to a club sandwich and an all veggie sandwich to a cheesy mushroom burger, Daily Deli has you covered. If carbs are what you desire, then you’ve a lot to choose from: alfredo pasta, penne chicken diablo, lasagne, chicken with oyster and egg fried rice, chicken shashlik with garlic rice and shawarma roll or platter. They’ve also got great sides such as French fries in exciting flavours like garlic mayo and cheese, shakes ranging from Oreo to strawberry banana shake and a hearty green salad to start off your meal. Daily Deli should be number one on your list for a lunch or dinner plan with your office and friends. That way, the healthy friend, the dessert-loving boss and the vegetarian coworker can all enjoy while you eat your juicy beef burger. Of course, we understand the struggles of finding parking outside Arfa Tower, not to mention the long drive through Ferozepur Road’s traffic, especially when you’re at the other end of Lahore, like Defense or Mall Road. Still, if a Daily Deli special burger is what you want, then there’s no stopping you. So instead of you wasting your time in traffic in Lahore’s scorching heat, allow Cheetay to deliver your food to your doorstep. It’s really quite simple – download the Cheetay app or visit the Daily Deli page on our website. Select your menu items. Leave special instructions if you want the rider to get anything on the way. Checkout to place your order and voila track your order through Cheetay’s order tracking system as our riders zoom towards you to deliver your food. Tell us, kya chahiye and you can easily enjoy Daily Deli restaurant from your home or office in Lahore.